Whether you're looking for value for your hard-earned savings, seeking tips on how to reach your deposit goals, or looking for the quickest way to avoid long-term savings plans completely, there's a way onto the ladder. Buying a house isn't just about putting aside a bit of money every month until you can afford a deposit. It's about knowing your long-term spending power. Start by getting a clear view of your current finances to see how much you're saving and spending. Use our free Money Dashboard budgeting software to collect all of your accounts into one easy-to-read space, and you'll instantly see how much you can afford to save. Next, work out what your dream home costs, including stamp duty, surveys, mortgage repayments, utilities and ongoing maintenance. Then factor those into your budget to see where you'll stand once your bid has been accepted. While you're saving for that all important deposit, make sure your money's invested wisely. Some savings accounts offer interest rates that are below inflation, which means you could be losing money instead of gaining it. Shop around for the best rates by comparing ISA providers, and investigating alternatives like peer-to-peer lending or investing for yourself. With enough leg work, taking control of your own investments can be incredibly rewarding. 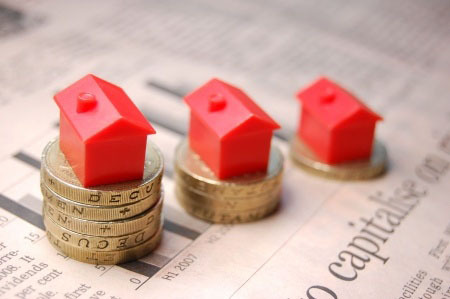 Once you've sorted your savings, it's just as important to find the right mortgage provider. Each one will be targeting different customers based on their budget, credit rating and property needs, so their offers will be different. Remember, it's best to get a good idea of which providers suit your situation before you apply for a mortgage. If several banks run credit checks in quick succession, it will hurt your credit score. Don't forget that there are still plenty of incentives to help you grab onto the first rung of the property ladder. First up, the government's Help To Buy programme is still up and running and can help you if you're struggling to save for a deposit. In fact, the scheme helps you to buy with just a 5% deposit. If you're buying a new build home, you'll be able to make the most of this offer until 2020. Another alternative is shared ownership schemes. These let you buy between 25% and 75% of your home and pay rent on the rest. It's a great stepping stone to full home ownership for those who can't wait to get on the ladder. Property auctions are a good way to find a home at a much lower price, providing you don't get carried away with the bidding. While there may be some less attractive looking properties, with sufficient surveys, some shrewd budgeting and a strong vision, you can find a diamond in the rough. And if you still feel it's less like a ladder and more like a mountain, remember that first time buyers accounted for 44% of house purchases at the end of 2013. If all those people can do it, so can you.